Belizean Shores Resort has a prime location on the beach yet it’s only a short boat ride away from the shops and restaurants in town. Belizean Shores Resort is a three star family getaway offering fun and adventure for all ages. The centrally located swimming pool offers enjoyment for the whole family with zero depth entrance, Jacuzzi, and The Blue Hole Pool Bar. The weather in Belize is perfect. Resort guests can expect a subtropical climate, Palm trees, Coconuts, Hammocks and the best swimming pool and ambience on the island. Belizean Shores is a favorite among vacationers and has a reputation for its relaxed atmosphere, white sandy pathways and fantastic views. Belizean Shores, one of the most popular Ambergris Caye Hotels, offers a long list of activities including snorkeling, sailing, fishing, guided eco-tour excursions and scuba diving. Some of the best diving in the world is found here, including well known Blue Hole. Belizean Shores is a favorite among vacationers and has a reputation for its relaxed atmosphere, white sandy pathways and fantastic views. 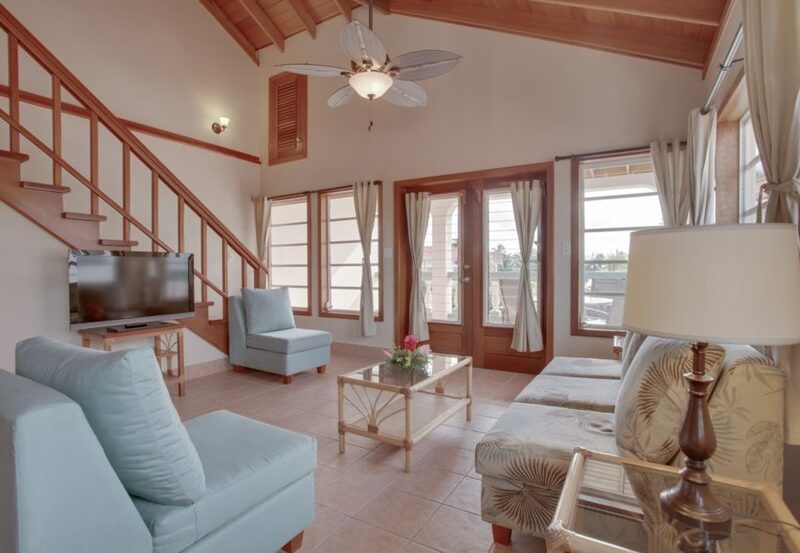 The lower level, sea view suites at Belizean Shores are centrally located with views of the Caribbean Sea right from your veranda. You’ll be just a few steps from both the beach and the pool. Our One Bedroom Upper Level Pool View Suites are an affordable and attractive option for small families looking for a fun vacation destination in Belize. These suites comes with an additional loft above for extra value and provides all the essential conveniences to make your stay a comfortable and delightful experience. The lower level sea front suites at Belizean Shores Resort are some of the most inexpensive sea front resort accommodations you’ll find on Ambergris Caye. 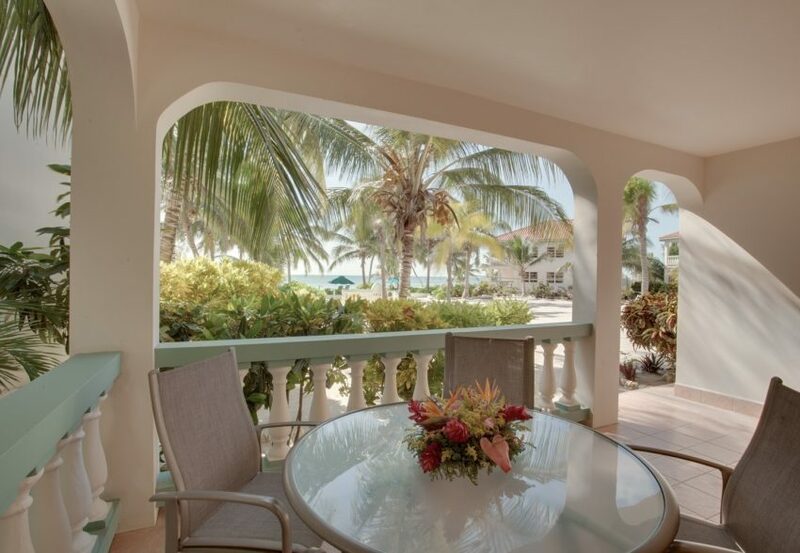 You’ll be able to enjoy the satisfaction of cool Caribbean breezes in your living room, and stepping down from your private porch directly onto our palm-filled beach. The one bedroom, upper level sea view suites will let your whole family feel at home at Belizean Shores Resort. These suites offer the convenience of an additional loft for more room and comfort to suit your needs. 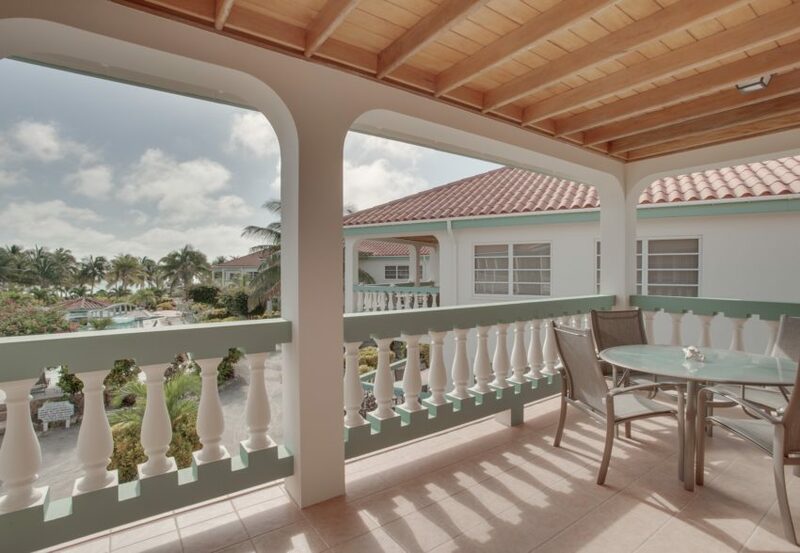 Feel the complete satisfaction as you step out onto your private balcony with a sea view and sit among the palms leaves swaying with the delightful Caribbean breeze. You’ll be very happy with your decision of choosing this Belizean getaway. Loft space with sofa bed or two twin beds.